The following organisations have all agreed to support the Creative Wigan site and to potentially use it as part of their procurement or search process where appropriate. By supporting the site they are not obliged in anyway to use it, merely to show their support for local creative businesses based in Wigan and that, in the event of a need of any creative services, they may refer to it. 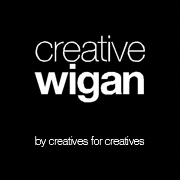 To join the site supporters, please email@creativewigan.com with your organisation's logo.